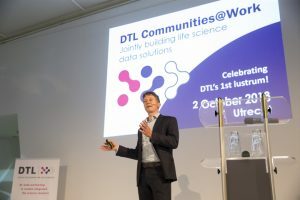 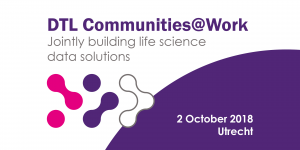 On October 2nd 2018 DTL organised its first successful Communities@Work conference, featuring multiple parallel workshops organised in close collaboration with DTL partner communities, two international keynote speakers and a network plaza during the breaks with sponsored and stakeholder booths. 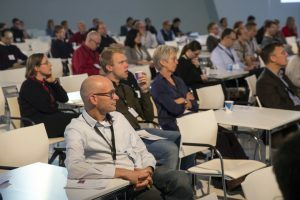 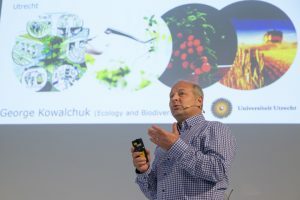 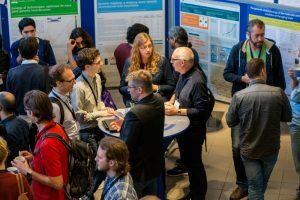 The conference was visited by more than 250 enthusiast participants. 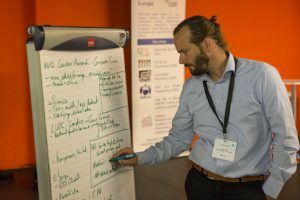 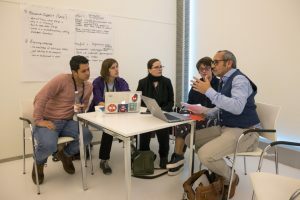 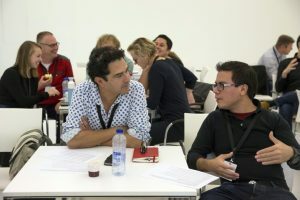 The workshops all had chosen their own format, and generated a very interactive event with lively discussions and interesting contributions. 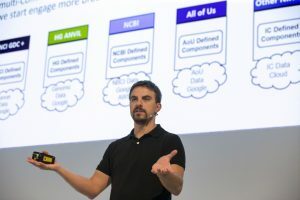 UCS professor C. Titus Brown who spoke about the NIH Data Commons, read more.